The NEW COW PLOP is Here!! It's that time again! 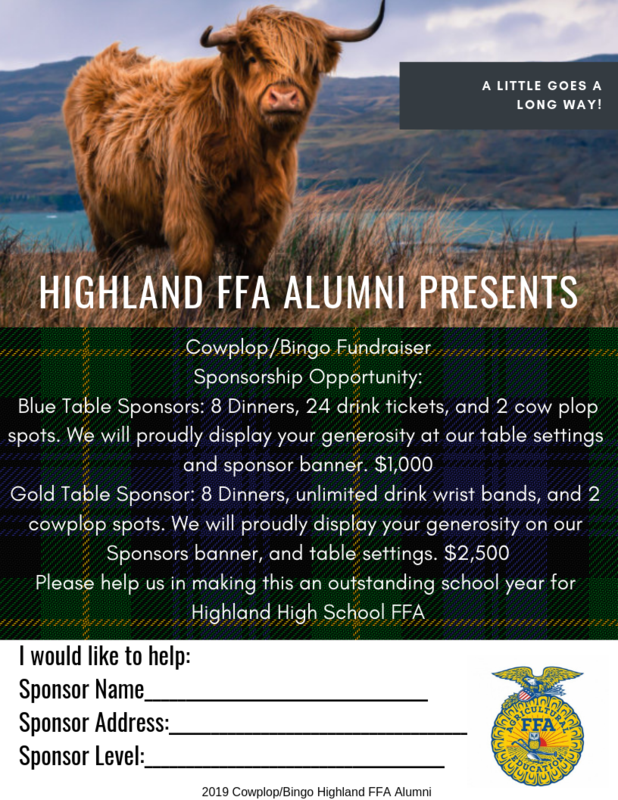 The Annual Cow Plop/Bingo is here! Join us February 9th, 2019 @ 6 pm at the AG Pavilion (just South of the ROC) for a ploppin' good time! Check out the Flyer below for Event and Contact information. If you would like to be a SPONSOR, you can download the Sponsorship Flyer or email amber_carter@kernhigh.org.